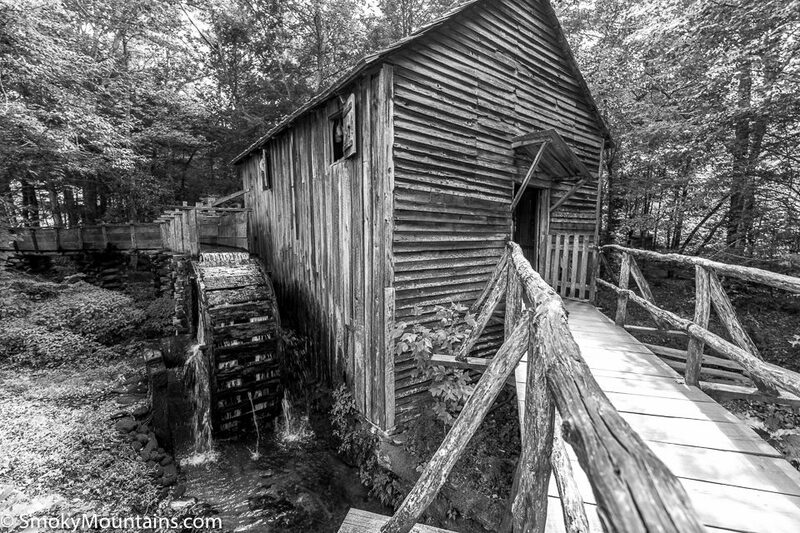 The Cable Mill which was built by John Cable in 1867, is one of the most popular landmarks in Cades Cove. 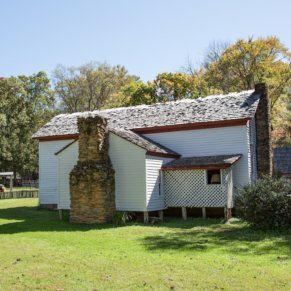 In the late 1800s, this mill provided homesteads with a place to turn corn or wheat into flour for making bread. 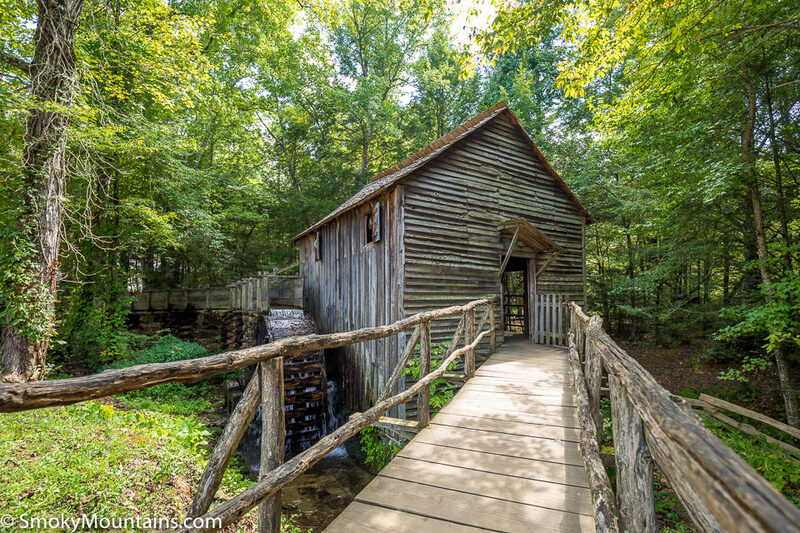 In addition to converting grains into flour, the mill was used to mill lumber. 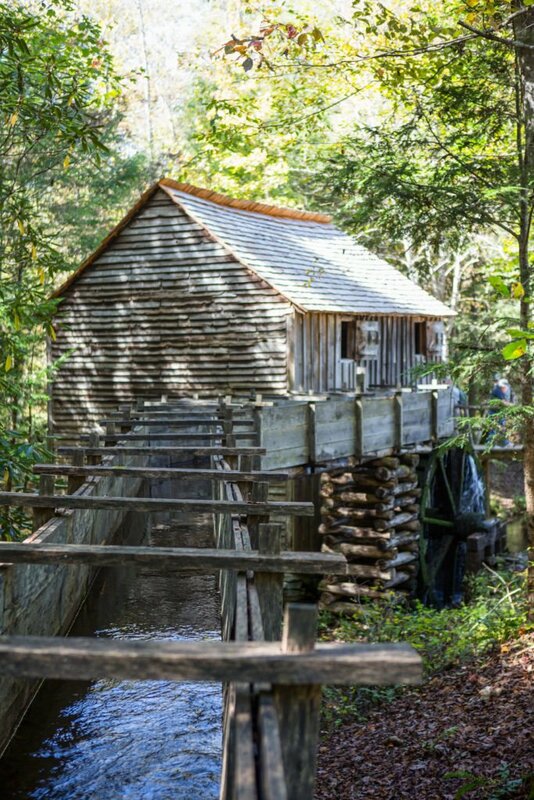 In fact, the farmhouse a brief walk away was made out of lumber cut on this very mill. 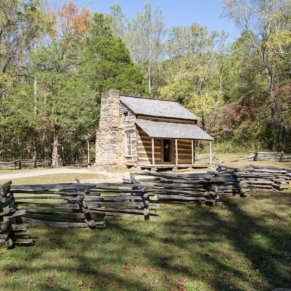 During this time period, the barter system was oftentimes used to purchase goods and services. 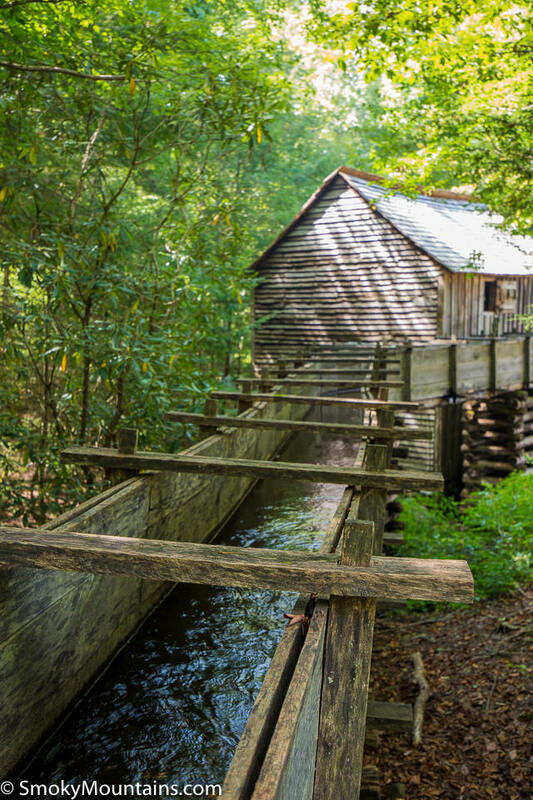 The individuals who owned the mill would typically charge customers a percentage of the ground items. 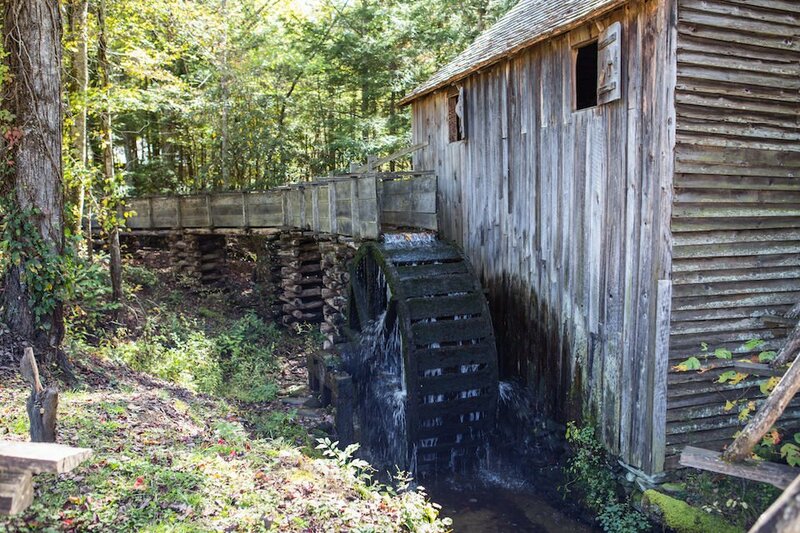 For example, the miller would take one-sixth of any wheat ground and one-eight of your corn. 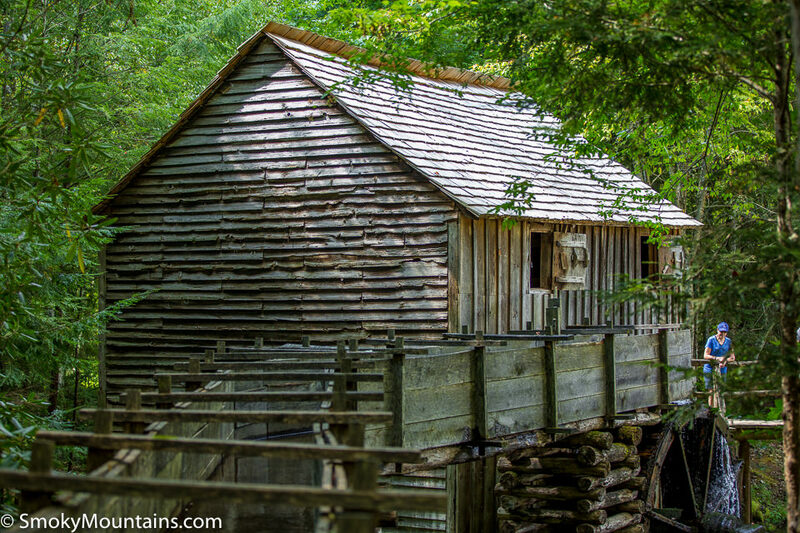 Since there were not general stores or grocery stores near Cades Cove in the, the grist mill was an essential part of life for the 700 or so people living in the cove during that time. 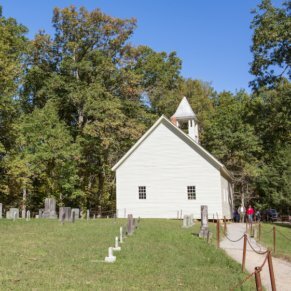 There were no refrigerators, Ziploc bags, or good methods to store the grain long-term during the hot months so the pioneers would make several trips per month for flour. 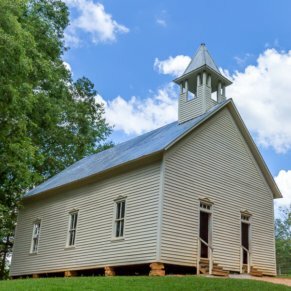 However, the purpose of the visit was also social – these were popular gathering spots on Saturday mornings. 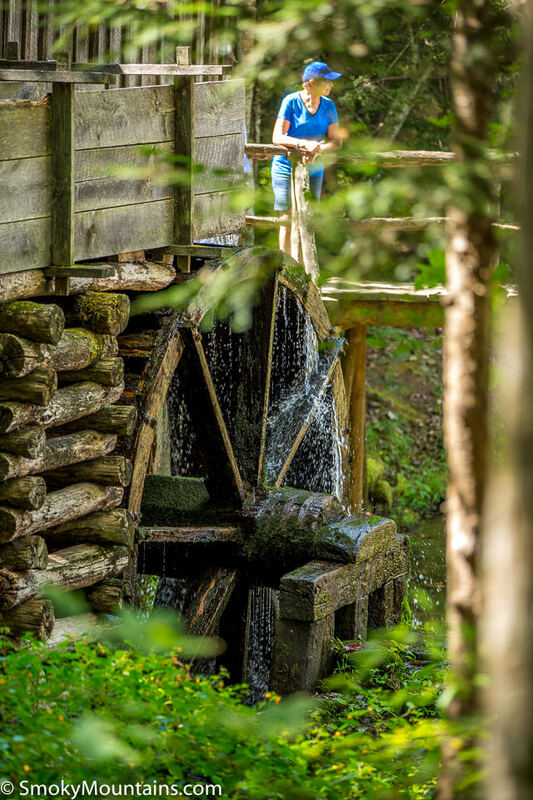 The mechanics of the eleven foot tall wheel were well designed, but simple. 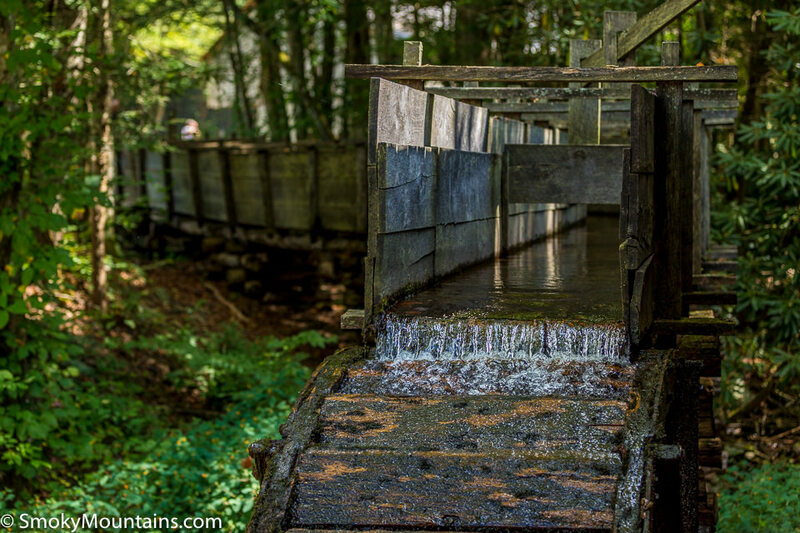 The large water wheel that drives the grist mill is an overshot mill – this simply means that the fast-flowing mountain streams strikes the top of the wheel. 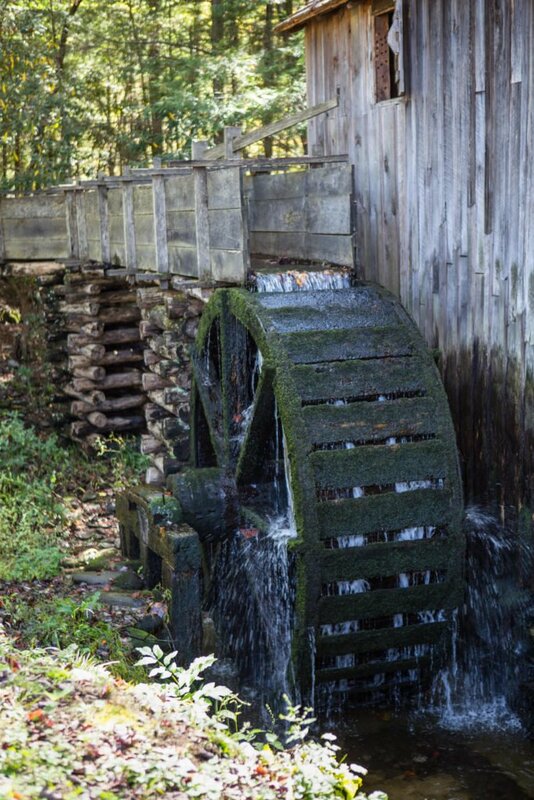 This design is much more efficient than an undershot wheel that is driven by water flowing past the bottom of the wheel. 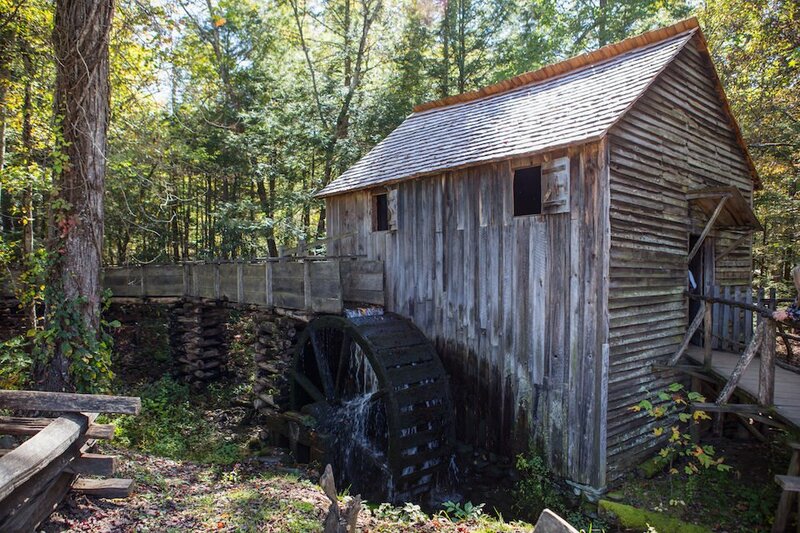 As the wheel turns, it drives a runner stone that turns. 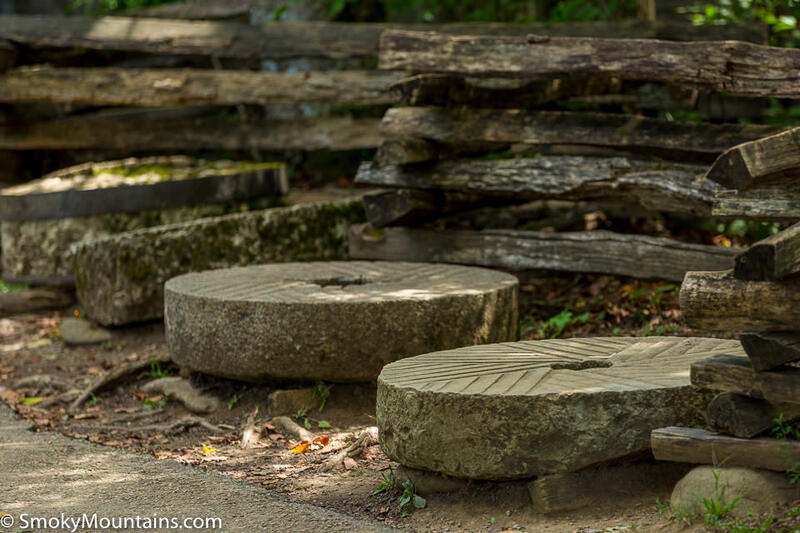 There is a very small gap between the runner stone and the stationary stone below and the corn or grain is fed into this area from a gravity-fed hopper. 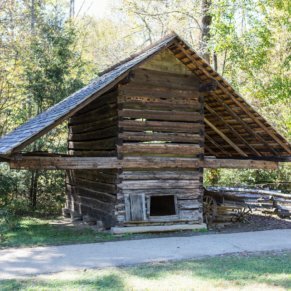 The miller, which was quite skilled in his trade, could position the corn or grain at a certain spot on the stone to achieve the desired fineness of the cut. 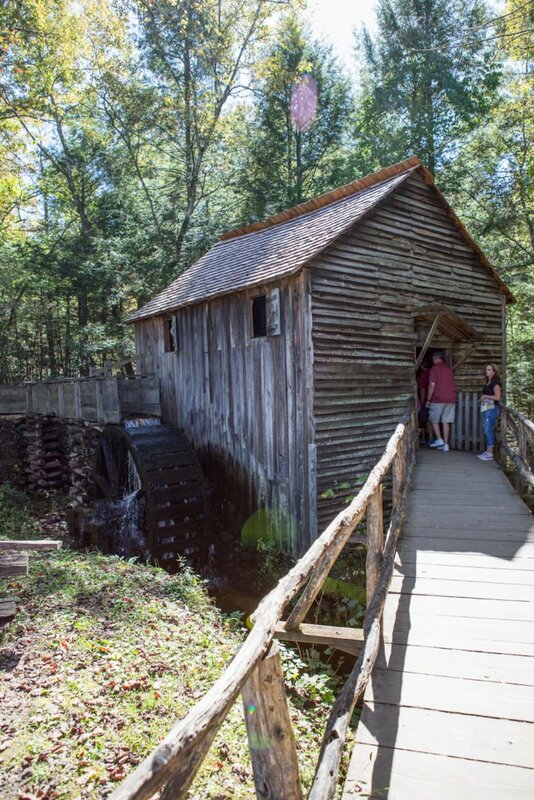 Now, 150 years after John Cable built the mill, people are still coming to the historical mill to watch it in action. 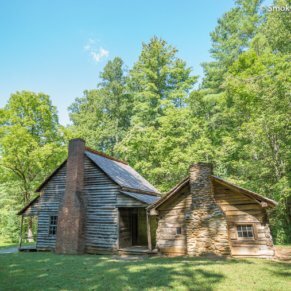 The Great Smoky Mountain Association works the mill from April to October of each year and is happy to answer questions about the purpose of the mill, operational process, and historical significance. 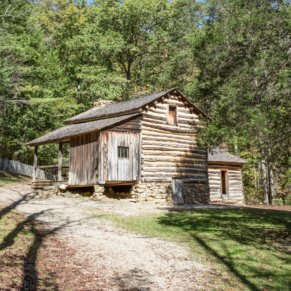 If you want an unusual souvenir from your visit, you can watch the volunteer miller grind corn and then purchase some fresh ground cornmeal to take home! 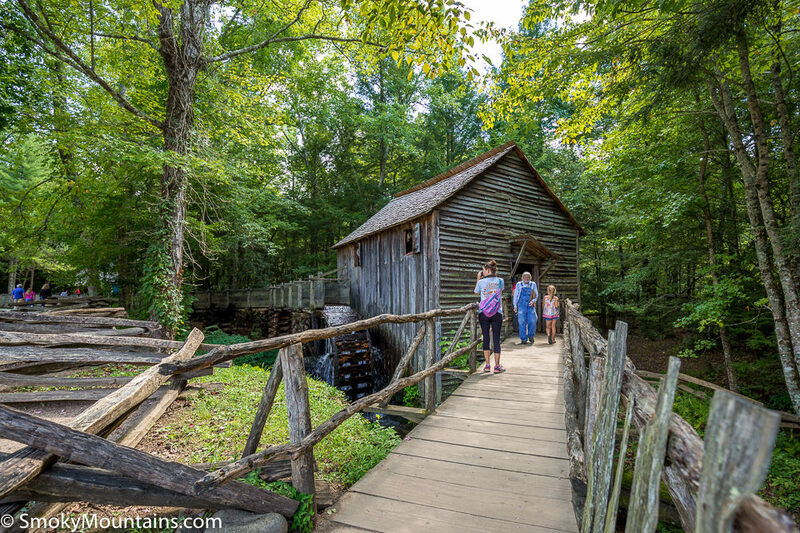 At the half-way point on the Cades Cove Scenic Loop, the Cable Mill is co-located with the Cades Cove visitor center and other historical structures. The area is well-marked and has a large, but busy parking lot.